Thermal Hotel Mosonmagyaróvár is currently not reservable. Mosonmagyaróvár, the "capital of the Szigetköz region" is situated at the north-western border of Hungary. It rightly belongs to the 16 historical cities of Hungary. Its historical townscape deserves the city its status. Mosonmagyaróvár lays on the banks of the Moson-Danube, it is crossed by the Lajta river and it has some mill-races and high-water overflows as well. The historical inner city shows the visitors the unmistakable medieval fortress and fortified town. The townscape is coloured by protected baroque buildings, narrow streets and passages as well as intimate bridges made of wood. The bicycle routes, the wide range of water attractions around Mosonmagyaróvár and the romantic landscapes of the Szigetköz give excellent opportunities for excursions to everybody who loves to camp near rivers, practice water sports or ride a bike. However the most valuable treasure of the city is the thermal water. According to its classification this thermal water is one of the five best medicinal waters in Europe. The Thermal bath gives excellent all year opportunity to relax for guests who come here to heal, rest or just simply to relax. 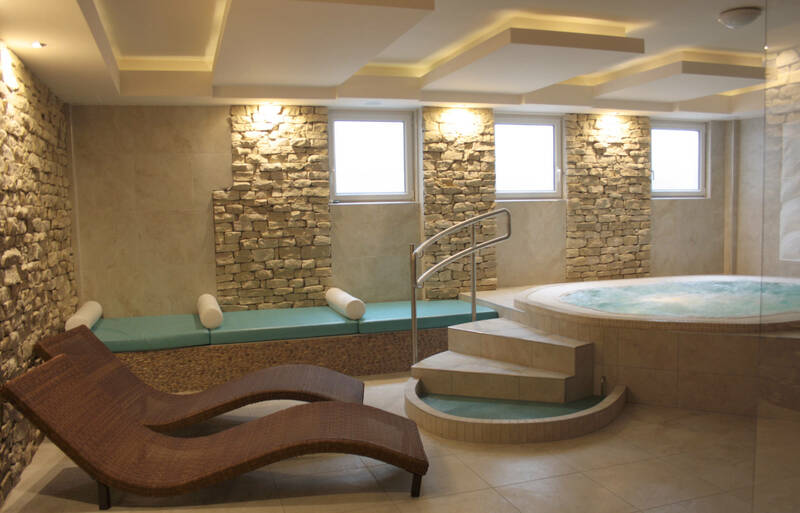 The three star Thermal Hotel Mosonmagyaróvár*** is situated directly on the area of the thermal bath resort. Our hotel has 46 double rooms as well as 1 apartment for our guests. You can enjoy the hospitality and family atmosphere of the hotel only a few steps away from the cobblestone paved streets of the inner city. 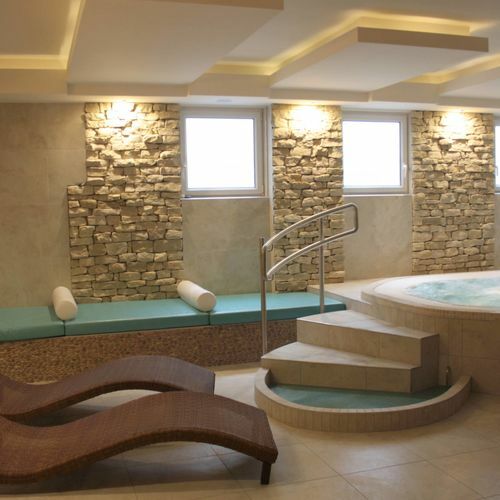 Our medical spa resort emphasizes the importance of keeping fit and healthy. It has a separate consulting room, and health department. Our colleagues do their best to help our guests feel as good as possible during their stay. Massages, wellness and medical cures are available for our guest to give more colour to their holiday. Those of our guests who would like to have dental treatment or plastic surgery can also take advantage of the services of our facility. Our specialist doctors provide quality services for our guests. Sauna, jacuzzi, beauty treatment, pedicure, manicure and hairdresser are also available to make your refreshment as complete as possible. Our Thermal Restaurant offers gastronomic and culinary adventure by emphasizing the local dishes. The restaurant also has an intimate winter garden, a separate room for special occasions for 40 people, and free parking space for our guests. Our hotel has 46 spacious double rooms as well as 1 apartment. Our apartment is ideal for accommodating families and provide for complete calmness. All rooms are fitted with individually adjustable air conditioners, bathrooms with shower, colour TV, telephone, mini-bar and safe. We provide wireless internet connection in all of our hotel's rooms. Please ask for the necessary access codes at the reception. ·Flexum Event hall for up to 40 people. The rating of Thermal Hotel Mosonmagyaróvár is 8.4 from the maximum 10, 202 based on actual and valid guest ratings and reviews. "Két éjszakát töltöttünk ott és mindennel elégedettek voltunk. A péntek esti vacsora nagyon hangulatos volt az élő zenével." "Das Hotel ist in Ordnung das Personal auch aber die Therme ist eine Katastrophe bei uns in Österreich wäre das schon geschlossen"
"A konyha fantasztikus. Sok szállóban megfordultunk már, de itt kifejezetten jól éreztük magunkat. Legközelebb hosszabb időre megyünk."